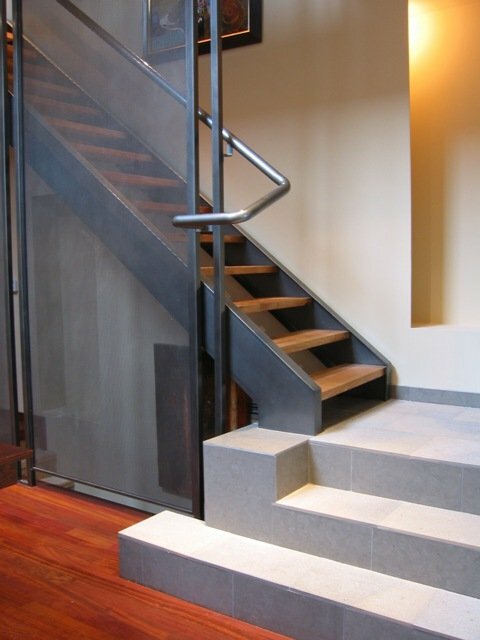 This staircase is from a project that involved an interior rebuild of a heritage Victorian house in Toronto, Canada. 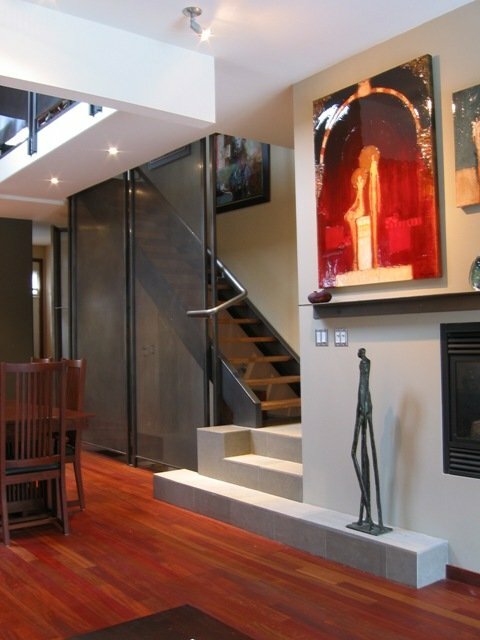 Architect John O’Connor from Basis Design Build, was responsible for introducing a modern interior that respects the historic exterior of this tall and narrow home. Visit the Basis Design Build website – here.